While the game of golf can be a beautiful and calming sport, the bodily movements involved can be detrimental to a person if overextended or overused. 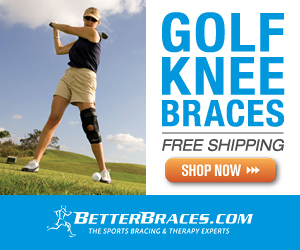 Golfers practice for years to get the best swing, but all of those hours on the greens can lead to serious knee injury. Our trained experts recommend the DonJoy Reaction WEB Knee Brace for golfers recovering from prior knee injury or seeking to prevent future ailments. Golfers at every skill level can feel pain at the front of the knee from overextension, twisting and overuse. Hip rotation and stabilization is extremely important to the sport so golfers will appreciate the extra support for their knees. The unique webbing and flexible hinges allow for golfers to move as they normally would so they can get the best swing possible under total protection. You will love how adjustable, breathable and comfortable the brace is so you can spend more time concentrating on the game. An undersleeve is also included with the brace adding for even more comfort during use. Because golf requires total concentration and focus, players need to be on their game and free from distraction at all times. With that said, any sort of pain can be a source of frustration for a player, especially golfer’s elbow. If you’re suffering from an inflamed or irritated outer side of the elbow, our product specialists offer the Aircast Pneumatic Armband. Golf requires repetitive movement of the elbow when swinging and the Aircast Pneumatic Armband helps to ease and prevent any discomfort. Whether a professional or novice player, you already know the importance of preventing golfer’s elbow before it starts, but stretching your arm muscles only goes so far. The armband helps to give the elbow extra support to prevent any irritation and overextension. The armband’s air pocket provides gentle compression along the extensor muscle to relieve stress without preventing blood flow, so you can swing like normal. Additionally, the armband conforms to the natural curvature of the area and has a soft foam lining so it won’t be bothersome while playing and practicing. 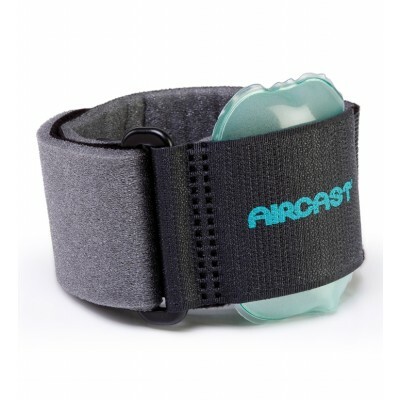 Range of motion is a priority while golfing and the Aircast Pneumatic Armband will allow you to play normally while also protecting your muscles. Golf is both a competitive sport and a relaxing pastime for young and old. Whether you play professionally or just as a way to unwind, golf is still a sport which can cause serious injury. Most golf injuries come from overuse; repetitive swinging motions that wear on muscles and joints which can lead to injury. However, like with most sports, injuries can be prevented if you have an understanding of what they are and what causes them. Simply a change in form can make all the difference. 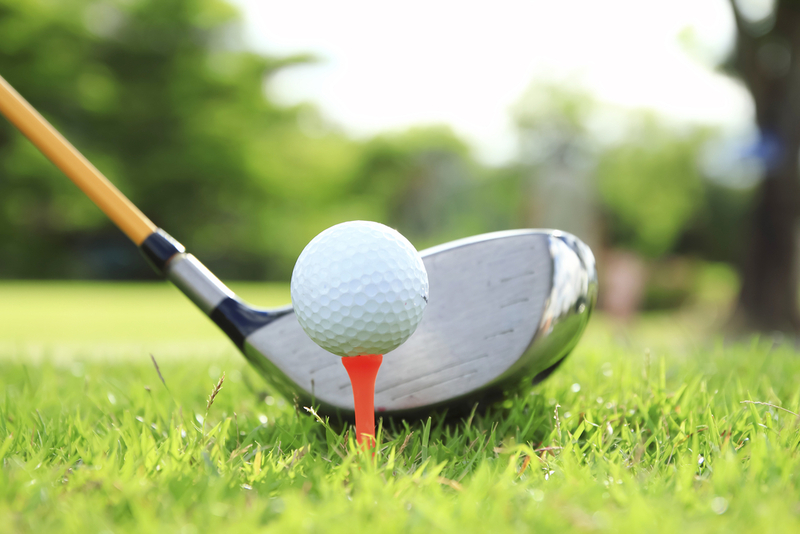 One of the most common golf injuries is Golfer’s Elbow or medial epicondylitis. Medial epicondylitis is an inflammation of the tendons that attach your forearm muscles to your elbow. Inflammation is caused by repeating the same motions — in this case, swinging a golf club — over and over again. Another common injury that golfers experience is lower back pain. Back pain can be caused by pulling or straining the muscles in your lower back during your swing or from carrying your golf bag. Also, people who suffer from chronic back pain might have difficulty with their golf game. Golfers often sustain wrists injuries. Carpal Tunnel Syndrome is an overuse injury that affects the median nerve in your wrist. The median nerve travels from your wrist to your forearm through the carpal tunnel. In addition to the nerve, the carpal tunnel also contains flexor tendons so when swelling occurs, they put pressure on the median nerve. CTS can be minor to serious depending on the extent of the injury. Another wrist injury golfers might experience is DeQuervain’s Tendinitis. DeQuervain’s Tendinitis is an inflammation of the tendons in the thumb, causing pain in the wrist near where your thumb connects to it. Other wrist injuries include Wrist Impaction Syndrome, which is caused caused when the bones of the wrist bang into one another during repetitive movements and ECU Tendon Subluxation, which is when the sheath holding the wrist tendon begins sliding around. Knee pain and injury has plagued even professional golfers like Tiger Woods. It can be caused by any number of issues including arthritis, a torn meniscus or an ACL tear. There are several things you can do prior to stepping on the green to keep your golf game from being impacted by injury. Warming up might seem a little silly since golf is a lower impact sport, but stretching and preparing your muscles before any sport is recommended. Stretch out your arms, back and legs. Practice your swing, starting off slowly at first to check your form. If you are finding yourself sore after a round of golf, try conditioning between games. Light exercise like walking or jogging can help to strengthen your muscles, or try an electric muscle stimulator to help you recover from soreness but also build up muscles in your arms, legs and back to reduce your risk of injury. Make sure your swing isn’t the issue. Swinging a golf club is a full body motion, utilizing multiple muscle groups as you simultaneously turn your body while hitting the ball. Think to yourself: how’s my posture? Are my feet shoulder-width apart? Am I hunching over? Having proper form before you swing can help reduce the risk of injury. When you do hit the ball, make sure your swing is fluid. Don’t try to hit the ball too hard. Harder swings don’t necessarily mean a better game. Work on having a smooth, consistent tempo. If you’re carrying your own bag, make sure to keep your back straight and use the strength of your legs to lift. This will help reduce the risk of back injury. Proper footwear is also key. Just like with soccer, having the right cleats is important. Golf shoes with short cleats are recommended. Long cleats can dig too far into the ground, locking your foot down when you swing which can lead to knee injuries like a torn ACL. With the right preparation, golf can be a fun, relaxing game. Stay safe and keep swinging! Why Movement Is Such Great Medicine?